COMPLETE INSTALLATION WORKS FOR 39 VILLAGES 33 & 11 KV & LV DISTRIBUTION NETWORK. 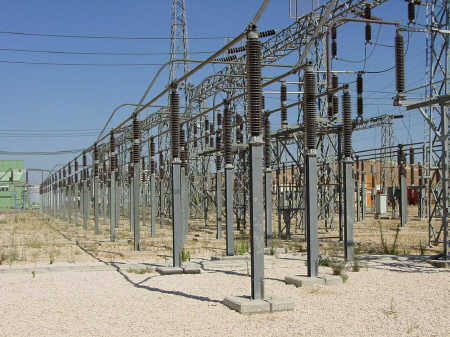 - COMPLETE ELECTRICAL WORKS FOR (4) OUTDOOR 33KV SWITCHGWEAR SUBSTATIONS. 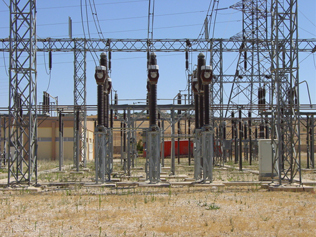 -COMPLETE TESTING AND COMMISSIONING FOR THE FOUR SUBSTATIONS. SUPPLY AND INSTALLATION BATTERY CHARGER 48VDC. - SUPPLY AND INSTALLATION BATTERY CHARGER 24 VDC. - SUPPLY AND INSTALLATION OF INDOOR AND OUTDOOR C.T’s. - SUPPLY AND INSTALLATION OF METERING AND PROTECTION RELAYS(SEPAM SERIES). - REMOVE ALL THE CONTROL CONNECTIONS AND REINSTALL NEW CONNECTIONS IN NEW CONFIGURATION. - RECONNECT CONTROL CONNECTIONS BETWEEN SWITCHGEAR AND GENERATOR SETS. - PROVIDE AS BUILT DRAWING FOR ALL ELECTRICAL WORKS. -LV DISTRIBUTION SYSTEM, LIGHTING AND SMALL POWER DEVICES. - 3.3 kV MOTOR CONTROL CENTERS (ABOUT 13 CUBICLES). (TESTING, TERMINATION & COMMISSIONING). - 15 kV CABLE JOINTS & TERMINATION OF HARVESTERS CABLES, ON SEA WATER FLOATING LINE. .- 15 KM of 33 kV OVER HEAD LINE. -20 NO’S 1000 KVA PAD MOUNTED PACKAGED SUBSTATIONS. -10 NO’S 1500 KVA PAD MOUNTED PACKAGED SUBSTATIONS. SUPPLY, INSTALLATION TESTING & COMMISSIONING OF 21 KM MV UNDER GROUND CABLES AT QUEEN ALIA INTERNATIONAL AIR-PORT FOR REHABILITATION OF THE DISTRIBUTION NETWORK.SUPPLY INSTALL TEST & COMMISSIONEING OF 4 PACKAGE SUBSTATIONS. 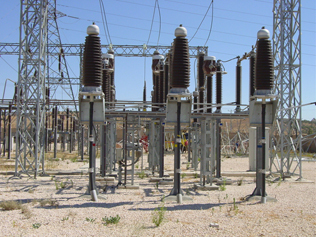 · MV SWITCH BOARDS (33 KV & 11 KV). ALL INSTRUMENTS AND INSSTRUMENTATION WORKS. THIS PROJECT IS REGISTERED AS ONE OF THE LARGEST SIMILAR ELECTRICAL PROJECT CONDUCTED BY LOCAL SUBCONTRACTOR SINCE 1979.